Time-honored humanities subjects such as literature, philosophy and history have struggled to draw students in recent years, but it’s not all doom and gloom. Educational institutions and local libraries are propping up the subjects with new, ambitious programs. The renewed enthusiasm for humanities at colleges and public libraries reflects the desire of the public for a deeper knowledge of the subjects, experts said. “People began to ponder the meaning of the capitalist ideology in the late 1990s,” said Bae Young-soo, Dean of College of Humanities at Seoul National University, in an interview. Despite -- or because of -- the rapid economic development, people found it hard to answer fundamental questions such as what should be done beyond economic development, and this gap is now fueling the drive for humanities in several academic and private sectors, Bae said. Another element that is increasing public interest in the humanities, Bae said, is the need to acquire creativity and fresh knowledge. “Korea achieved rapid economic growth partly due to the ready-made technologies imported from developed nations in the past. The country is now required to develop its own technologies based on creativity, and studying humanities can help nurture creativity,” he said. 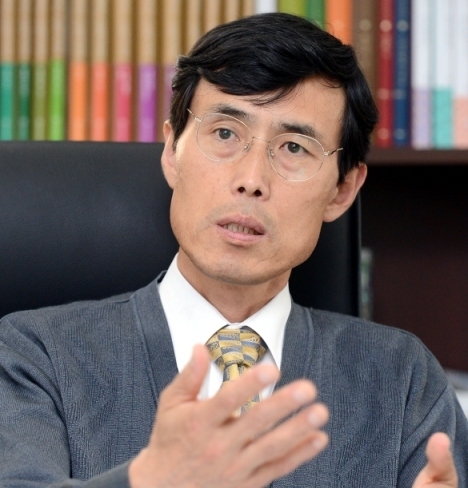 Bae is himself spearheading the humanities initiative as the chief of SNU College of Humanities, which has been running a special program titled “SNU Humanities Course” since 2010. The monthly open lecture series offers various subtopics of humanities ranging from Confucian philosophy to aesthetics. Topics are chosen to directly relate to their own majors. The lectures are later compiled and published as a book. The lecture series also provides a mini debate session at the end, featuring professors and experts in humanities fields.